I'm excited to be part of the Book Tour for Bone Deep by Kim O'Brien. 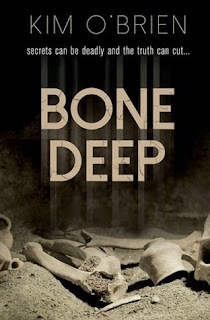 I want to thank Spencer Hill Press for providing me a ARC of Bone Deep for review. 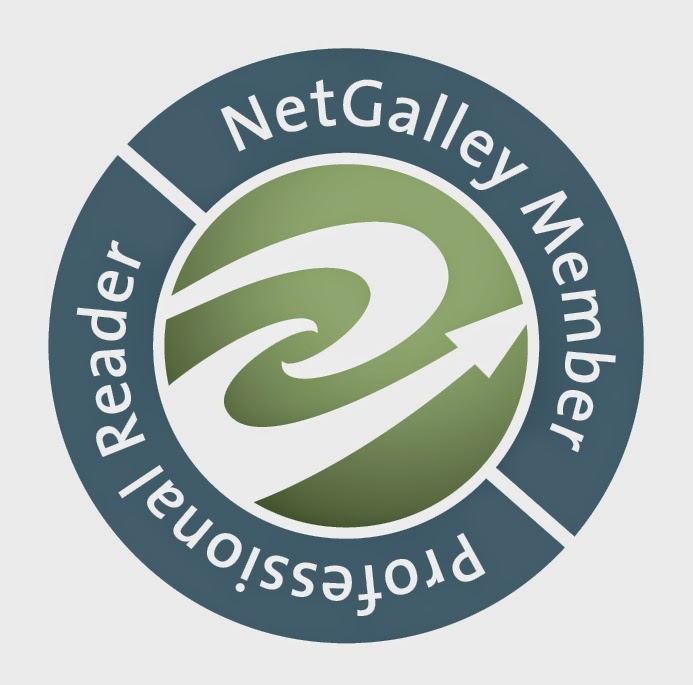 You'll find said review below, and all the way at the end of this post you'll even find a link to a giveaway for a paperback copy of Bone Deep! Bone Deep is a very unique and interesting take on the YA murder-mystery genre. It features a unique setting, diverse characters with interesting backgrounds and stories to tell. And there is also some archeology thrown into the mix, too, which was very interest and something I've not encountered in YA before. I'm a big fan of mysteries, especially murder ones, so I knew Bone Deep would be something for me the moment I read the blurb. Luckily, the book did not disappoint me in any way. I enjoyed seeing this setting with ruins and pieces of information’s and stories about Native Americans. I think we hear about them way too little in school during history, and so it was refreshing to read about. The way Kim O'Brien described it I could easily imagine the characters and places. Speaking of which, I liked the characters a lot. I identified a lot with Paige, probably because we are both divorce kids, but also because she was a different character with flaws, one that could also admit and own up to her own mistakes, even if it wasn't easy it do. I liked her relationship with Emily and how it slowly warmed up in the beginning of the story, how we slowly got more information on their past and explored what made their friendship definitely stand out. I felt sorry for her due to the fact how hard she took her parents’ divorce and how she slowly started to figure out that maybe the reasoning behind it wasn't quite the way she thought it was. And also that it wasn't just something mentioned two or three times, but something that really bothered her a lot, which made her even more of a believable character. I also really liked Jalen with his stoic and sometimes weird behavior, which was understandable yet slightly infuriating at times, though not in any really negative way. It was rather amusing. I really liked seeing him warm up to Paige and their relationship form and evolve in a believable pace. Seeing his background with his memories of his grandparents living in the Navajo Nation and how he wishes to live there one day too was great and new. I've never read a story which featured a character with a Native American background before, which made Jalen quite intriguing. Kim O'Brien very cleverly lead us through the search of who is responsible for Emily's disappearance, made us think that 'I am pretty sure I've figured out who it is' just so she can prove us wrong in every way. The ending and conclusion to who is responsible was believable and surprising, not obvious at all, which I feared might happen but didn't. All in all I enjoyed Bone Deep very much. I practically read it in two sittings, both way too late at night which meant that the morning after I looked like a sleep deprived zombie but it was worth it. If you're into murder-mysteries and unique characters, this might be the book for you. I give Bone Deep by Kim O'Brien 5 out of 5 Stars. Kim O’Brien grew up in an old Victorian house in Bronxville, NY. Her mother loved telling her bedtime stories, especially ones about the ghost in their attic. Kim not only believed the house was haunted but also fell in love with books and the art of storytelling. At Emory University in Atlanta, Kim earned a B.A. in psychology. She then attained a M.F.A in writing from Sarah Lawrence College in Bronxville, NY. She worked for many years as a writer, editor, and speechwriter for IBM before becoming a full time fiction writer. She lives in Texas with her husband, daughters, and four-legged friend Daisy. Kim is the author of eight inspirational romances and seven non-fiction children’s books. She loves to hear from her readers and can be found at www.kimobrienbooks.com/, Facebook, and Twitter (kimobri).